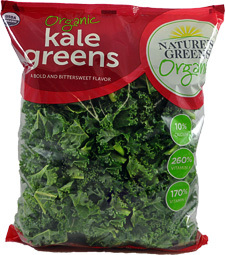 Kale is the popular food right now! I am loving it! 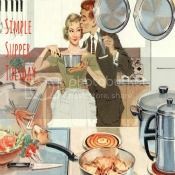 In one of my favorite cookbooks, the “50 Shades Of Kale”, I am yearning to make every recipe! I will! 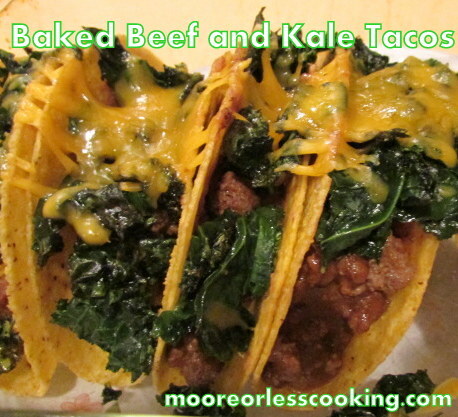 Today I am making a yummy fiesta with Baked Beef and Kale Tacos. They are crunchy and so full of flavor. I sauteed the Kale, so it is delicious and crunchy and perfect. 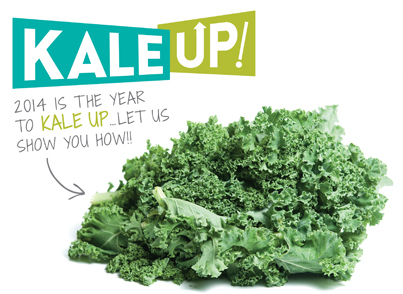 I have joined up with the KALE UP Program and I am cooking with Kale every day! Join up with me! Nature’s Green is a family owned company, that has been in business for 85 years. Nature’s Greens is a complete line of triple-washed, ready-to-use greens such as kale, collard, mustard and turnip greens, along with greens blends. The kale tastes like it has just been picked, so fresh and delicious. Here is my yummy taco recipe! Preheat oven to 350 degrees F. Heat a large skillet over medium high heat. Add the olive oil, then beef, brown, drain fat. Add taco seasoning and water, cook per directions. In a separate skillet add olive oil and then add kale, saute for 5-8 minutes or until soft and fragrant. Assemble each taco by spooning in 1 Tbsp beans, beef, kale and shredded cheese. Place in baking dish and bake in oven until hot and cheese is melty. Add Cholula, and any other toppings such as sour cream and guacamole. Serve immediately. This post has been sponsored by Nature’s Green’s but all opinions are my own. I have linked up this post to these Linky Parties! These look so yummy Nettie!